Carol Condie, holding photo board in front of a house in Elida, New Mexico, 1999. This contract project was to record all of the buildings along a 63-mile stretch of Interstate 70 in southeastern New Mexico prior to planned alterations to the highway. The construction technique was an unusual one in our experience, but seemed to be common in the area. 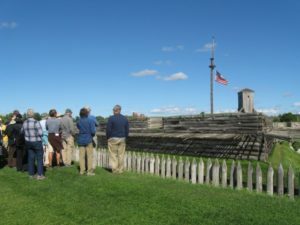 Wooden forms were set in place as they would have been for a concrete pour, but instead of concrete, adobe mud mixed with gypsum was poured into the forms and allowed to set up. This doubtless required sequential pours. The path to my spot on the Conservancy Board began early and ran a ragged course. I was born in Provo, Utah, but since both of my parents grew up in small towns in southwestern Utah we visited grandparents and other relatives often. When I was eight we moved to New York City for a year while my dad earned a Master’s Degree in retailing from NYU. Once that was accomplished we moved back to Utah but to Salt Lake City instead of Provo. Those years provided a glimmering of what ultimately led to a degree in anthropology. When we lived in New York my younger brother and I were seen as exotic (we were, after all, from beyond the far ends of the earth!) and interesting. Our friendship and approval were cultivated. When we returned to Utah, we were also seen as exotic, but in Salt Lake that meant dangerous and unpredictable. To suggest that experiencing the three subcultures represented by St. George and Santa Clara, Utah, New York City, and Provo and Salt Lake City, Utah led straight to anthropology would be ridiculous. I wasn’t that smart. But it did plant the seed of curiosity about why people behaved in such different ways. 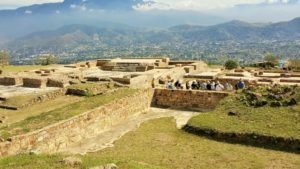 When I got to the University of Utah and signed up for an introductory class in anthropology to help fill a University College requirement I was astounded to learn that there were people who actually studied what I had wondered about for so long. Like many students of my generation who attended public universities, I found it possible to earn enough to make the (amazingly low!) tuition working summer and after-school jobs. Most of my jobs were secretarial. 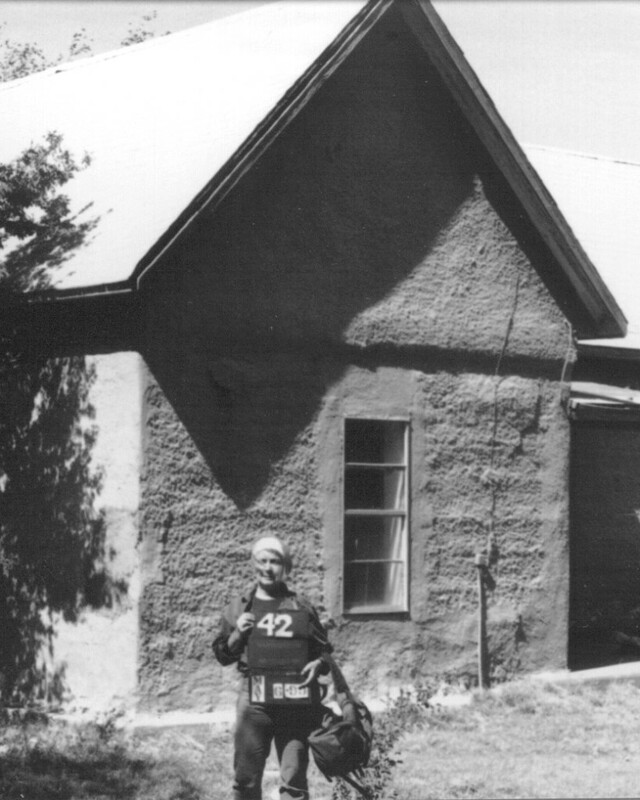 After I had spent four years in school, including a stint as departmental secretary and a summer field school near Garrison, Utah on the Utah-Nevada line, I had a B.A. degree, but nothing that made me eminently employable in anything but another secretarial job. The chair of the anthropology department came across a notice that Cornell University was offering a Ford Foundation fellowship for a one-year program in elementary education and told me to apply for it. (No one offered women fellowships in anthropology in those days.) 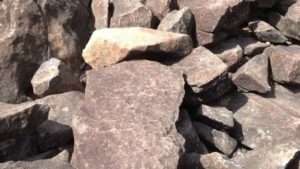 I was awarded a fellowship, spent a year at Cornell, and returned to Salt Lake with a shiny new Master’s degree, only to learn that the Salt Lake City Board of Education suspected that communists were behind the Ford Foundation and were reluctant to grant me a teaching certificate. I talked my way into a job teaching third grade and also got married. Another year and my husband had finished his B.F.A. in architecture, which led to a move to San Francisco and a job for him with the western arm of the National Park Service architectural division. The job proved disappointing and we returned to Salt Lake a year later. 1965—Director & Instructor, New Mexico Indian Headstart Programs in Teacher and Teacher-Aide Training. 1970-1972—Writer for Navajo Social Studies Project, College of Education, University of New Mexico and Bureau of Indian Affairs. 1973-1977—Education Coordinator and Director of Division of Interpretation, Maxwell Museum of Anthropology, University of New Mexico. 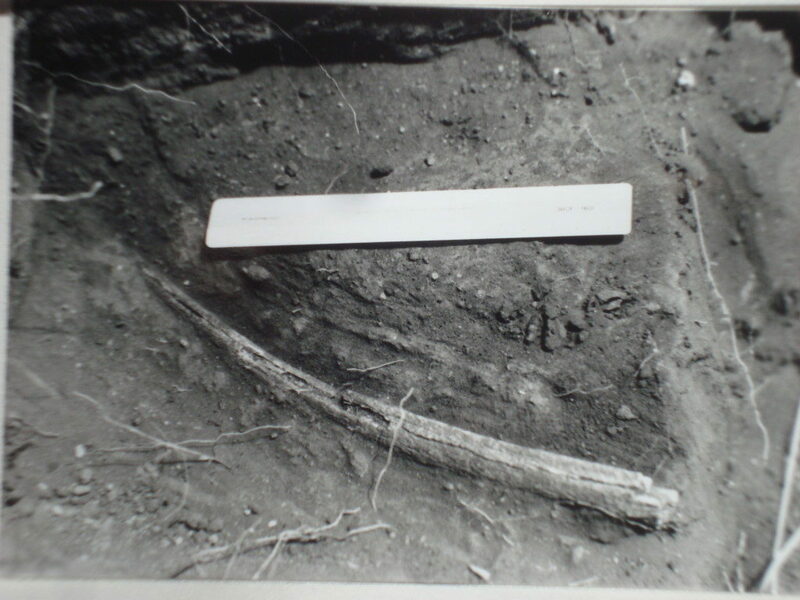 1977—Archeological Technician, U.S. Fish & Wildlife (June-October). 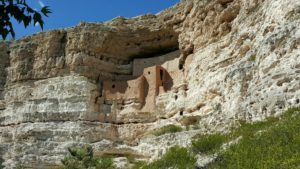 Although we conducted a few more than 500 projects in various parts of New Mexico (plus a smattering in Colorado, Arizona, and Texas), most of them were not thrills and chills projects. Many of them consisted of our discovering nothing of cultural interest (to the delight of our client of the moment). Some projects, however, did result in surprises. One of these was what we expected to be a run-of-the-mill excavation of two cobble-filled hearths perched on the edge of one of the many gravel tongues above the river on Sandia Pueblo land a little north of Albuquerque. Both hearths contained bone, but one held several huge ribs, which we assumed represented a cow. 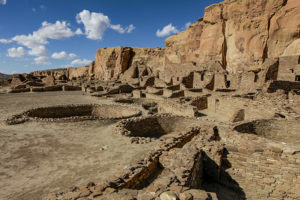 Buffalo remains had never been reported as far west as the banks of the Rio Grande, being known only from the plains some distance east of Albuquerque. Nevertheless, as was routine, we submitted a sizable sample to Beta Analytic for radiocarbon dating. We were astounded to learn the date—365 B.C. They could only be bison! 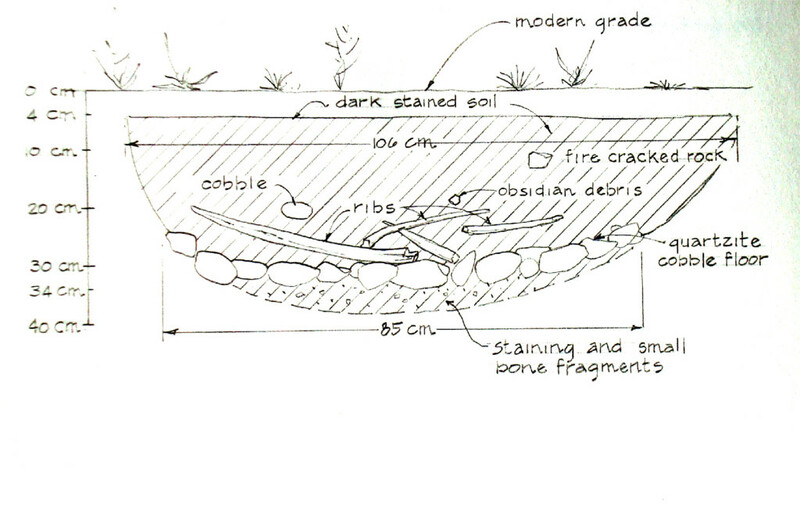 Bison Roasting Pit Diagram After Excavation. Courtesy Carol Condie. The Bison Roasting Pit During Excavation. Courtesy Carol Condie. Another project yielded a surprise of an entirely different nature. We were investigating sites along the Pecos River road between the village of Pecos and the Pecos Mine at Terrero. 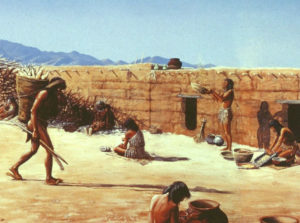 In addition to the fieldwork, we also conducted an extensive literature and archival search in order to write a regional culture history, most of which concerned Pecos Pueblo and nearby Hispanic communities, essentially prior to the influx of Anglos after New Mexico became part of the U.S. in 1846. The surprise in this project came not from the ground, but from the San Miguel County Archives where we found a hangman’s bill for $26.75 for helping a person named Robert Stanfield—an obviously Anglo name—to his final rest in November 1849. Unfortunately, we didn’t learn what his crime was. 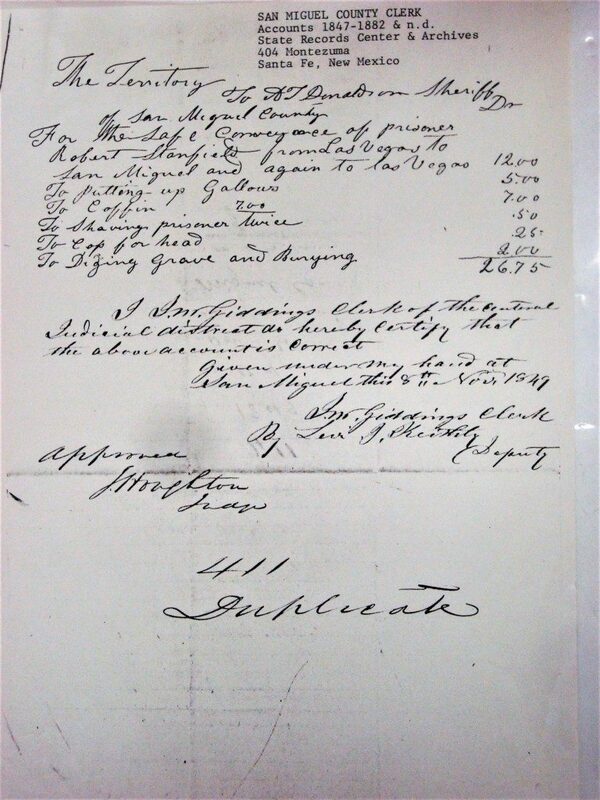 Historic Hangman’s Bill from San Miguel County, New Mexico. Courtesy Carol Condie. 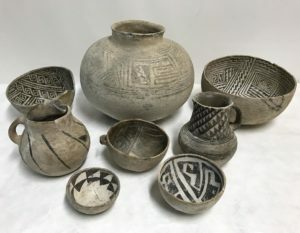 With such a scattered history in archeology, one would wonder how I came to be invited to join the Conservancy’s Board. 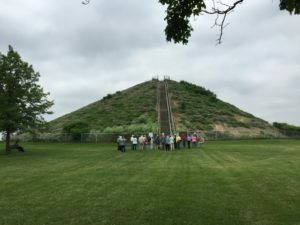 I have a little theory of my own: For 10 years or so I, and practically every other archeologist in the Southwest, led one or two tours every year for Crow Canyon Archaeological Center. Mark denies this, but I’m convinced that my invitation to serve on the Conservancy Board was a direct result of conversations in the vans I drove while we toured people around the Southwest. Participants would often ask me about appeals they had received from the Conservancy to join and to contribute. Since I had long been in a position to witness the spending habits of the Conservancy I would always tell them that the Conservancy watched every penny, never frittered funds away, spent judiciously, and that they should decidedly give the Conservancy all of their money. However I achieved a seat on the board I find it a rewarding spot to be in because it’s a genuine pleasure to serve with people who make it a point to be productive (none of the long monologues that have plagued many of the other boards I’ve served on) and to be unfailingly pleasant to each other at the same time! 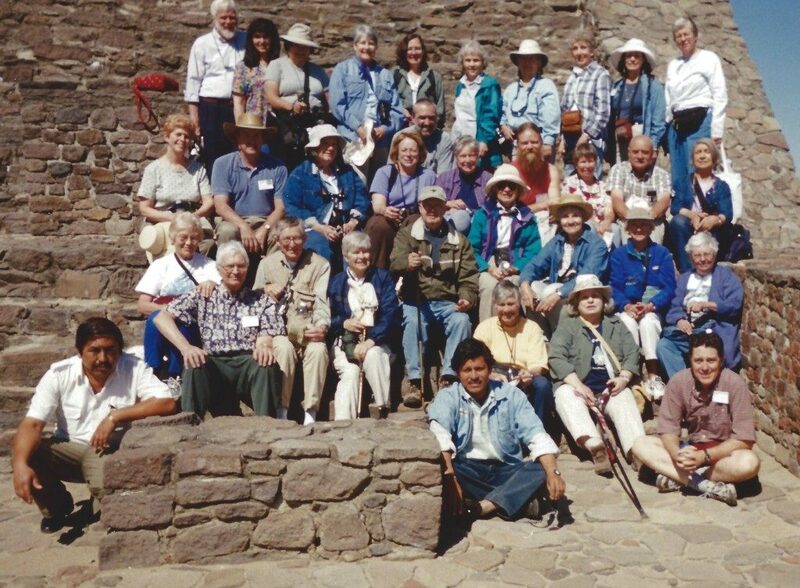 Carol Condie ( Far Right, second row down) on an Archaeological Adventure Trip with the Archaeological Conservancy Members to Mexico. 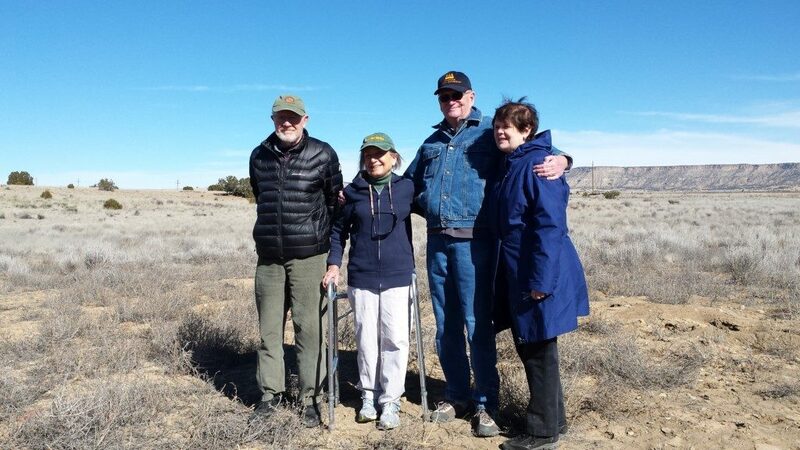 Carol Condie (Center Left) visiting the Conservancy’s 501st Saved Site with fellow board members, William ‘Bill’ Lipe (Left), Gordon Wilson (Middle), and Dorinda Oliver (right). 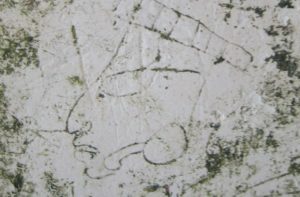 Photo: The Archaeological Conservancy. Carol Condie is the president of the Quivira Research Center and owner of Quivira Research Associates in Albuquerque. She has conducted over 500 cultural resource studies in the Southwest. She holds a Ph.D. in Anthropology from the University of New Mexico.